Happy Monday! Hope you all had wonderful & restful weekends! Mine may not have been restful, but it was packed full of adventures doing the things I love with some of the people I love! To sum it up, I got to accompany a friend on the violin at her Spoken Word gig, attend The Art of Fashion Show with a bestie, celebrate life at a childhood friend's baby shower, watch Evan Savage (& my sister on violin) rock the stage at House of Blues, and capped it off perfectly with leading worship at church which is one of my favorite ways to use this gift of music. All in all, I'm loving this season of life! 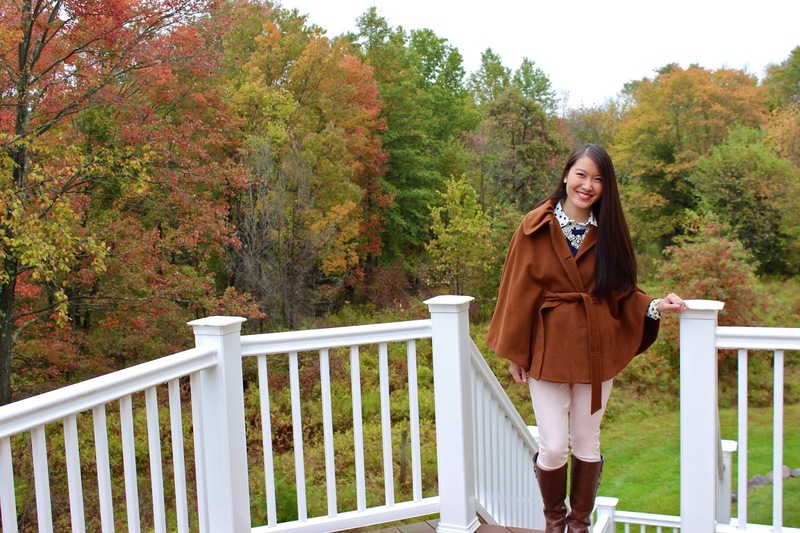 What have you been wearing this Fall season? 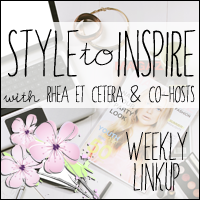 This week, I'm so excited to be co-hosting the Style to Inspire Linkup again with Rhea of Rhea Et Cetera! We can't wait to see what you've been wearing lately! 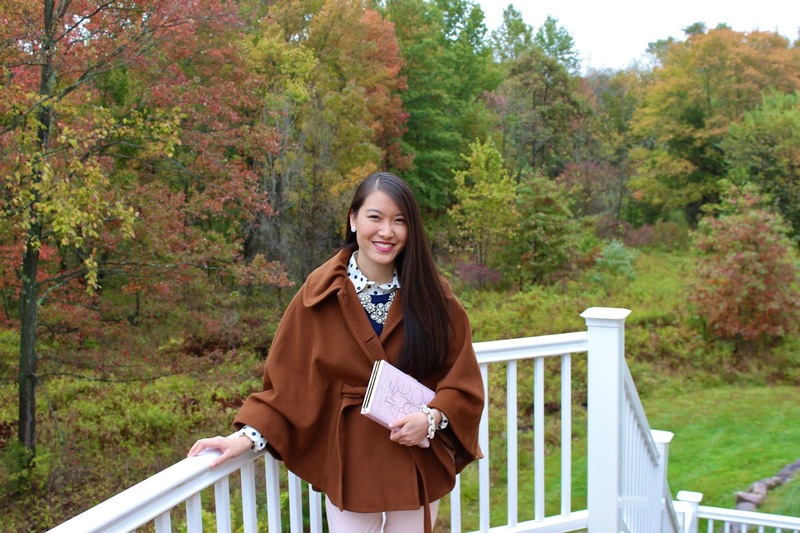 Please follow both of us on Bloglovin' (Rhea Et Cetera | Grace in Style) & check out other bloggers' links and show some love to their style to inspire! Here's one way I styled my cape coat last weekend. I decided to layer against the slight chill with a J.Crew polka dotted shirt under an Old Navy sweater and pastel pink JCrew pants. I accessorized with a Kate Spade book clutch & my favorite Benevolent Jewels statement necklace! Don't forget that you can get 20% off your purchase at Benevolent Jewels with my code JHCODE20! 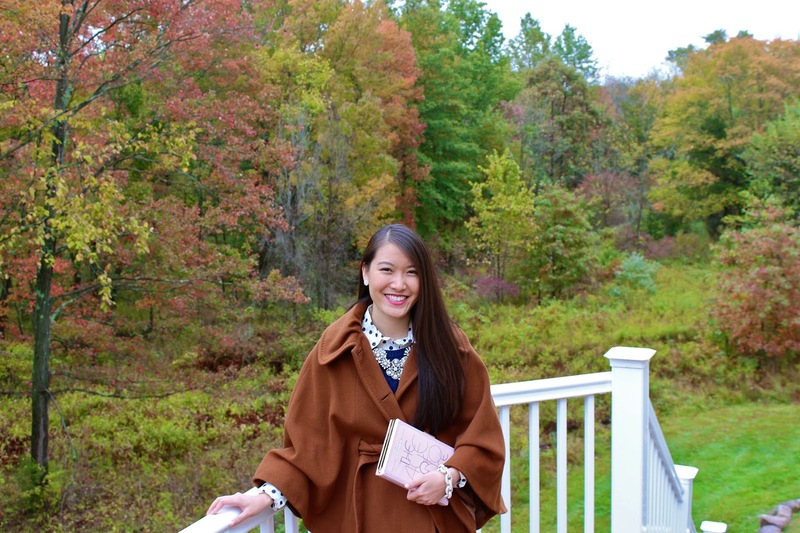 Welcome this week's cohost, Joanna of Grace In Style! 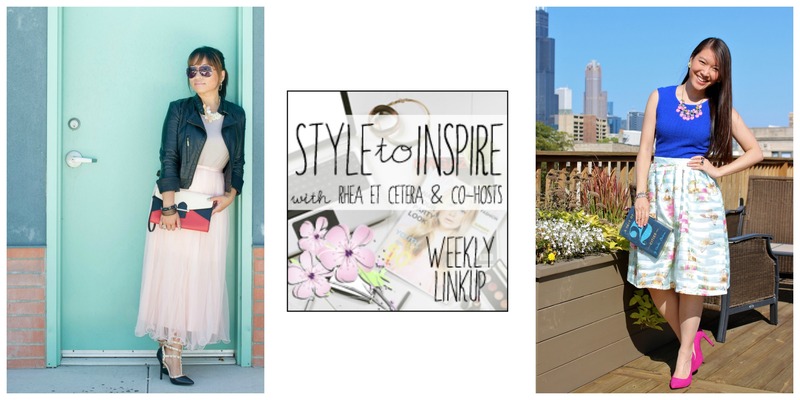 Style to Inspire -- a weekly link up creating an online fashion community to inspire and be inspired by our fellow fashionistas! Share your style with us! 1) Please follow your host Rhea via Bloglovin and your cohost Joanna via Bloglovin. Would love if you leave us a comment, too! 4) Have fun -- check out other blogs, comment, and be fashion-inspired! Cohosting opportunities are available -- if you are interested, please email Rhea at rheaderblogger@gmail.com -- cohosting is a great way to promote your blog! Love the cape! And love this look !! Thanks for the Kate Spade Giveaway! I was so happy to see you co-host Grace. Your blog has become one of my favorites. This outfit is so rich, lush and gorgeous. That camel cape coat is DIVINE!! So happy to link up with you & Rhea. BTW I am now following your blog via Bloglovin, Google Friend Connect and Facebook. I'd love for you to support me too and follow me on GFC and Bloglovin. Thanks so much. love the outfit! perfect cape! 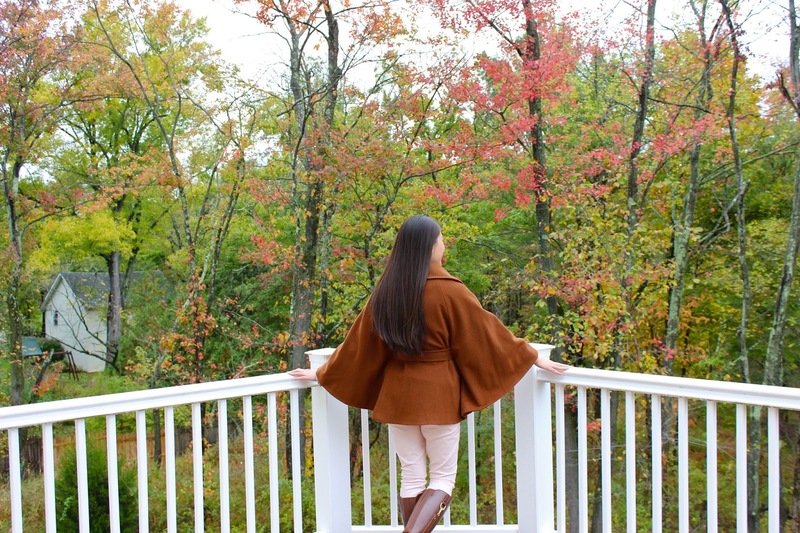 such a pretty color and cape for fall! That coat is absolutely gorgeous, I deff wanna check it out myself!! How gorgeous is this scenery around you!? So pretty!!! That coat is beautiful. I have been tempted to try a cape coat. They are so chic! Your overall look is gorgeous! It really is suitable for that wonderful view in the background. I really love the cape and the statement necklace! Oh my goodness, Fall envy! I love the background - SO pretty! Also, I love your outfit! That is such a beautiful coat, I wish I could pull it off like you. Also, those pictures are beautiful. 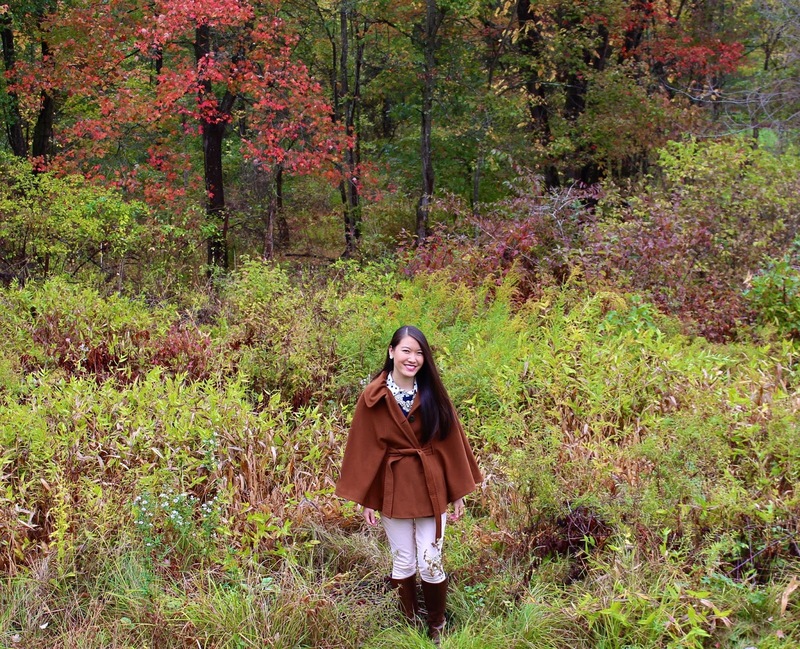 What perfect Fall pictures you captured! Your cape is fabulous! Love the color, as well! Gorgeous cape! Love the look - beautiful background too. I love your style and think that cape is beautiful! Cape style shirt is always my favorite. Nice styling, it looks cozy for fall. WOW ... gorgeous cape coat! And what a perfect fall setting for photos. Adore! LOVE that cape! I just picked up a trench from the thrift store in that exact same color. So rich and perfect for fall! I love that cape! I have one in a darker color, but I think I like yours more! I especially like the gray one pictured. Forget the coat. What part of the country are these pictures taken because I need to move there. Beautiful scenery. I need to get my hands on a cape coat. They're so cute!